At last year’s AGM Linda Moore and myself both stated that as we would have both completed 10 years in post come the forthcoming 2014 AGM, we felt that it was time for us to stand down and for new members to come forward and take on our roles. Since then, largely due to my ongoing commitments at County and National level, I have indicated that I am prepared to stay for another year. That said, if someone is keen to take on the Chairman’s role after the AGM, then I would still welcome this. More importantly however is the need to find a replacement for Linda as our League Secretary. The role of the Secretary is vital to any league and essential to enable a league to operate efficiently. Without a Secretary the running of the league would almost be a non-starter since much of the routine and mandatory work needed, would not be carried out and the league would quickly find itself not being able to be run in accordance with its (and Table Tennis England’s) rules. In short, failing to find a volunteer to fill the post would put the entire running of the Bath league at risk. · Arranging and sending letters/emails for General Council Meeting, together with any attachments. Checking attendance etc. Estimated that these activities take up around 2/3 hours work a month plus attending every meeting. The new Secretary would take up his/her post following the AGM to be held on Monday 28th July, and ideally we would like to be able to circulate the names(s) (we also have a vacant post for Assistant Secretary) in advance of the meeting. I would therefore urge anyone with even the faintest interest in taking up the post to get in touch with either Linda or myself please as early as possible please. I cannot stress enough the importance of filling this post and to allow Linda to retire. Please give this your careful consideration. 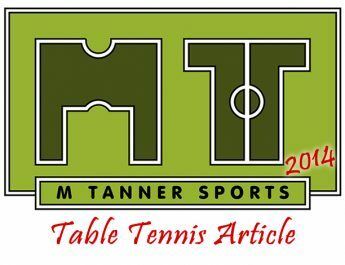 The Bath Table Tennis League needs you! Please get in touch with M Tanner Sports if you can help!